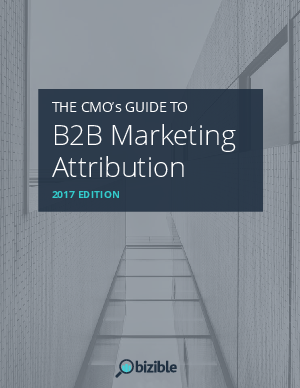 In this 2017 update of the CMO Guide, you'll learn how marketing attribution helps marketing teams succeed in today's data-driven era. This guide covers how attribution measures true ROI by connecting marketing activities to revenue, how it integrates with your marketing automation and CRM, and much more. Download the guide now to learn more about marketing attribution and the questions you need to be asking your team in order to drive more revenue and achieve your KPIs.